ISA semester programs in Shanghai offer solid Chinese language programs and an array of courses at East China Normal University, one of China’s top higher education institutions. ISA's mission is to provide high quality education abroad opportunities to American and Canadian college students at an affordable price. We recognize that we play an important role in the worldwide effort of international educators to increase awareness of cultures and societies outside of each student's national boundaries. Our programs are designed to maximize our participants' learning abroad, and we understand that most college students need support and expert guidance before, during and after their time abroad. 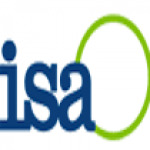 ISA is a Global Partner of NAFSA: Association of International Educators, and supports NAFSA's efforts to advance international education and exchange. The ISA semester programs in Shanghai offer solid language programs and an array of courses taught in English. Students who are interested in improving both their Mandarin skill and taking courses for the major, minor, or general education requirements will find exactly what they are looking for in the academic program provided by East China Normal University, one of China's top higher education institutions. In addition to an excellent academic program, the ISA Shanghai Office will provide students will many opportunities to explore the extreme diversity of Chinese culture. By living on the campus of East China Normal University, students will be immersed in Chinese student culture and have the chance to make friends from the area. By participating in the cultural events planned by ISA, participants will be able to get a feel for what it is like to live in one of the largest cities in the world. The extraordinary excursions that are included as part of the Shanghai semester program will allow students to see parts of China that are vastly different from metropolitan Shanghai, as well as visit the most important sites from throughout Chinese history. The fall semester program begins in early September and runs through the middle of December. Thanks to Shanghai's moderate climate, students will experience mild weather throughout their entire program. Both the Mid-Autumn Festival and National Day are during this session, so students will be able to experience both a traditional and modern holidays. The spring semester program in Shanghai starts in the middle of February and runs through early June. The program starts near Chinese New Year, the biggest holiday in China. With the program ending during the summer, participants will be able to enjoy many outdoor activities, such as walking through Yuyuan Garden or just taking a riverside stroll along The Bund. Students can study during the summer at East China Normal University, where they can choose 2 courses from a variety of academic options. There is no language requirement, but students must have a minimum GPA of 2.5 to apply.